If you suddenly find out that you have lost your job, you may not know how to react or where to turn to plan for the immediate future without your usual source of income. Avoid burning bridges – When you leave your former job, avoid saying anything that may result in a less than favorable recommendation. Be polite in all exit interviews as you do not know if another position may open up at that company. If you believe that your employer may have violated your rights, you should discuss your concerns with an attorney and not try to take action against your employer on your own. Use any resources possible to find a new position – Even if approved, unemployment benefits only last for a certain period of time depending on the particular state in which you live. Therefore, you should take advantage of any family, friends, networking, or outplacement resources available to help you on your search for new suitable employment. If you want training or education in the meantime, make sure to discuss how that may affect your unemployment benefits with an attorney. 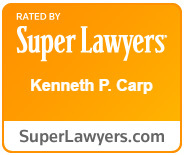 At the Law Offices of Kenneth P. Carp, we understand that losing your job can be devastating and concerning for you and your family. There are many different ways that an experienced unemployment lawyer can help you in this situation, so you should never hesitate to call 636-947-3600 to discuss how we can help you today.